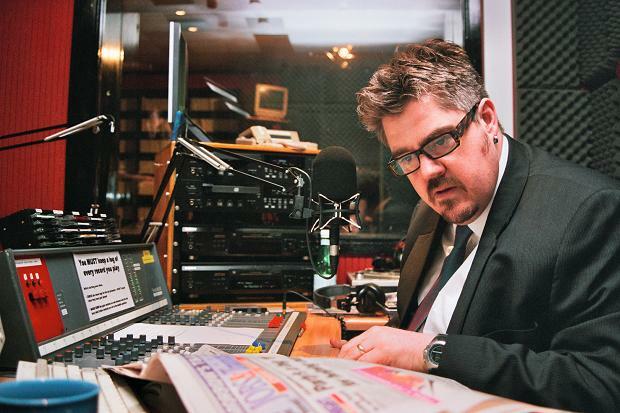 Phill Jupitus researching (or relaxing) before hosting The Culture Studio. BBC Radio Scotland’s Culture Studio is a great programme, and I’m not just saying that because I was invited on to the show. Okay, so maybe I am, but it’s still well worth checking out. The show is normally hosted by Janice Forsyth, but she was taking a well-earned break when I popped into the Culture Studio. 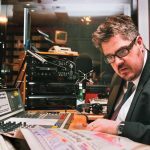 So I found myself in the company of Phill Jupitus, who had stepped into the hot seat, and Jenny Niven, Portfolio Manager for Literature, Publishing and Language with Creative Scotland.